Here's the thing you need to know about Norway: no matter where you go in the country, you are pretty much guaranteed to find something awesome. Whether it's amazing views or great food or just an outstanding, friendly community, Norway really has a lot going for it. No wonder this country is at the top of many travel bucket lists. This was hit home for me as I traveled along Norway's west coast, skipping the always-beloved Bergen and hitting up lesser-visited cities like Trondheim and Kristiansund instead. And then I got to Ålesund. A city with a name that I didn't even know how to pronounce properly and that I knew exactly nothing about. I arrived late in the day after spending way too much time driving back and forth on the Atlantic Ocean Road. It was still light out though (helloooo midnight sun), which meant I could see the pretty buildings and cobbled streets of Ålesund's main downtown area as I drove through. Not to mention that driving into town required driving along gorgeous fjords. Yes, I had a feeling I was going to like this place. This was cemented the next day, when I got to see Ålesund inside and out. Ålesund is spread over 7 different islands in Norway's Møre og Romsdal county, and most are connected via undersea tunnels. A massive fire in 1904 completely destroyed Ålesund's city center. It was rebuilt a few years later almost entirely in the Art Nouveau style. 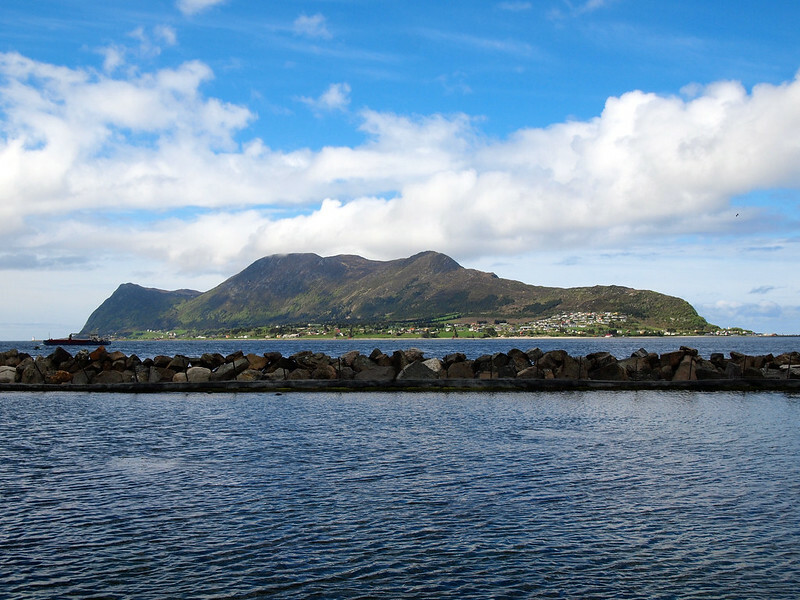 Ålesund has always relied on fishing as its major industry. Today, Ålesund still provides a ton of cod and cod liver oil to Europe and the rest of the world. In 2015, Disney Cruise Line partnered up exclusively with Ålesund tourism to offer guests a “Frozen” experience in the city – guests could join Anna, Elsa, and Kristoff for a special festival at the Sunnmøre Open Air Museum. My time in Ålesund was, admittedly, far too short. But luckily it's not a huge city – you can easily see the highlights in just a day or two. 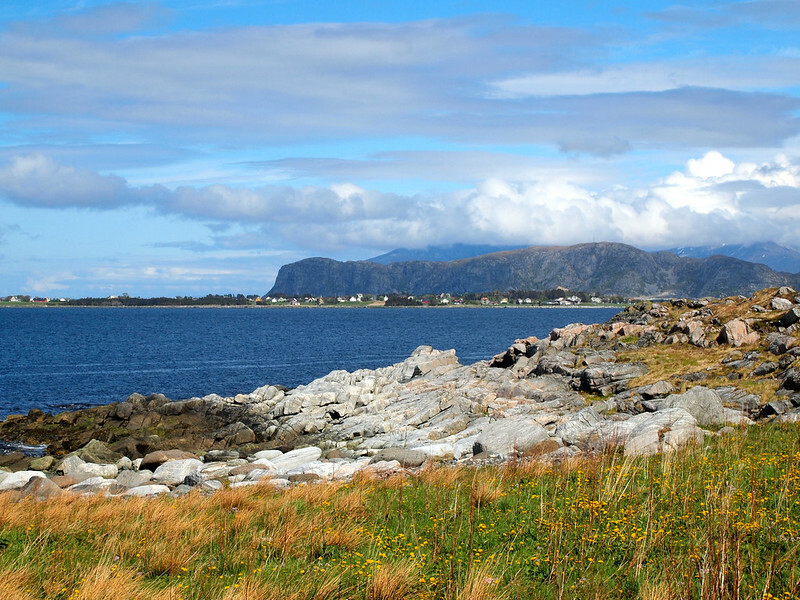 If you only do one thing in Ålesund, go up to the Aksla Viewpoint. You can reach this on foot by going up 418 steps, by taking the tourist train that toodles around town, by getting a taxi, or by using the hop-on, hop-off bus. The views from the lookout are outstanding. It was drizzling slightly when I was up there, but the sun was out – meaning a rainbow soon appeared over the colorful city center below. Perfection. If you have time, there's a nice cafe up here where you can grab a coffee while you enjoy the view. And, no matter how you get up there, I highly recommend walking the 418 steps back down into Town Park for even more views! Like I mentioned earlier, most of Ålesund burned down during a January 1904 fire. When they rebuilt it a few years later, they did it in the Art Nouveau style of architecture, which incorporates natural forms and soft lines. You see this reflected in Ålesund's buildings, many of which have flowers and other swirly shapes on their exteriors. If you have time, pop into the city's Art Nouveau museum, which is built inside an old pharmacy. I'm picky about the zoos and aquariums I visit on my travels. The last thing I want to do is support a place where the animals are mistreated or simply “on display” as opposed to being properly cared for. I needn't have worried in Ålesund, though. The (Atlanterhavsparken) is one of the largest saltwater aquariums in Europe, and it's an aquarium that does things right. 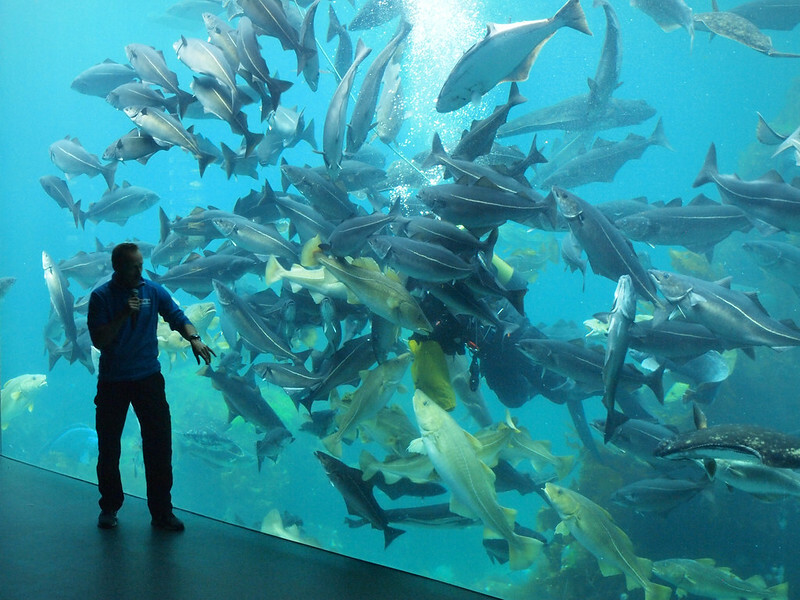 The building is in a scenic area surrounded by hiking trails, mountains, and even a beach, and the aquarium pulls in fresh sea water directly from the ocean – nothing is treated here. I spent some time at the touch-tanks with all the kids, as well as outside wandering around the 6,000-square-meter “seal park,” which is home to a handful of harbor seals that were born into captivity elsewhere in Europe. The seal park is entirely outdoors and feels like you're just walking along the coast instead of within the grounds of an aquarium. These seals sure do have a nice view! 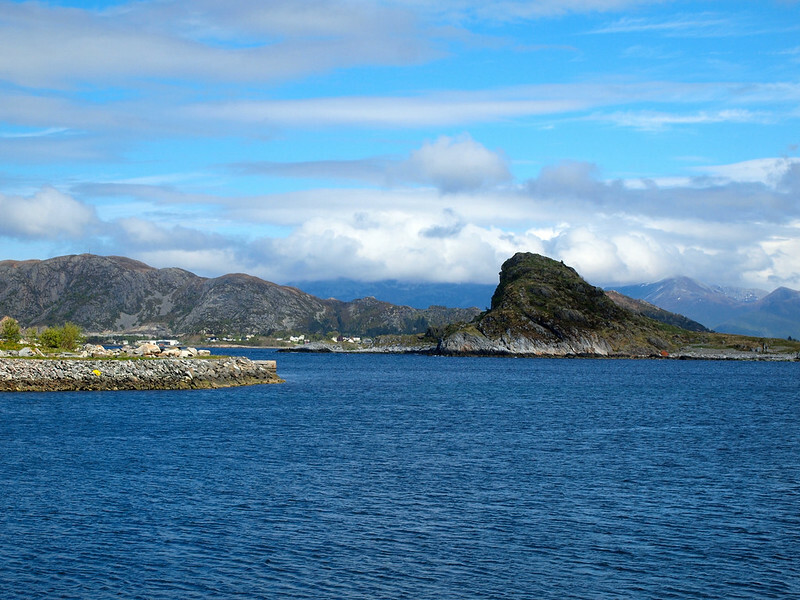 Since Ålesund is spread out across a few islands, I couldn't really visit properly without doing some island hopping! When I came out on the other side, I was greeted with sweeping sea and island views. What a place! The lighthouse and its little cafe were closed (I was there in May, which is still the off-season in most of Norway), but it didn't matter. The sun was finally shining and the views were impressive enough to keep me there for half an hour. If you have a rental car and some time, this is a great short trip from Ålesund, only taking about 30-40 minutes each way. Ålesund is not a part of Norway I knew anything about before visiting. And, to be honest, if I had planned my own trip to Norway, Ålesund probably wouldn't have made my final itinerary, despite it being on the fjord parallel to the famous Geirangerfjord. And what a shame that would have been! Ålesund is a great city, and definitely deserves a detour if you happen to be in this part of Norway. 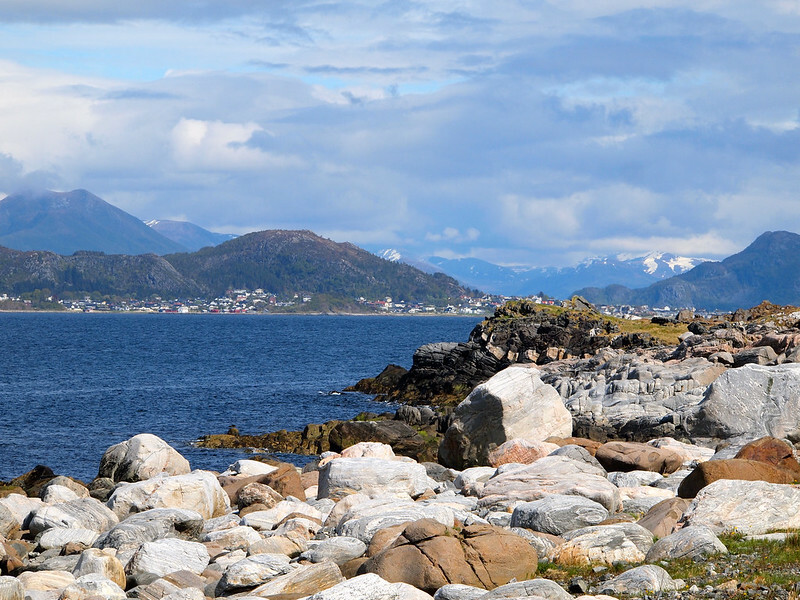 Is Ålesund a city that will make YOUR Norway itinerary now? If you can get cheap flights, do it! It’s a cool little city. If you’re there at the right time of year, you can go see puffins out in Runde, too! So pretty! 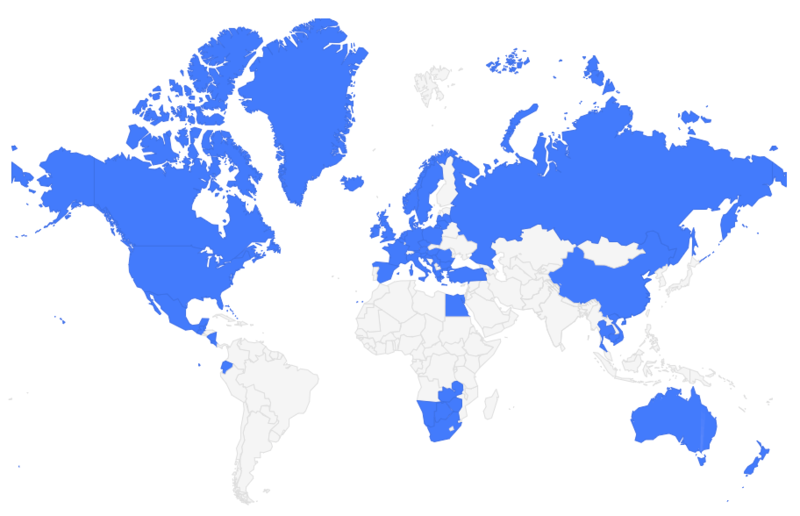 Love how it is spread over the islands, and that aquarium photo is awesome! It’s a cool city! And yeah, “feeding time” at the aquarium was cool. All the kids there loved it! I actually do it a lot more these days – and it almost always turns out great, because since I go in with no expectations, I usually find some interesting stuff! The rainbow definitely was magical! It’s like a miniature town — cute! 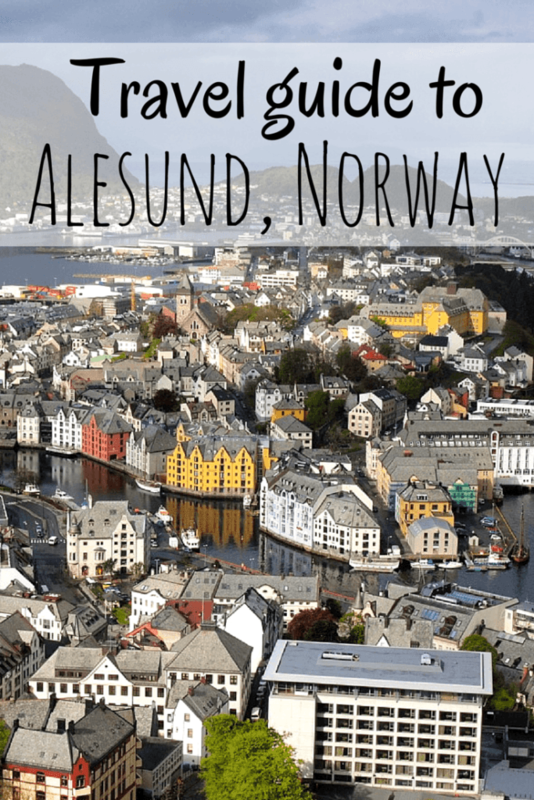 Norway is on my list but this is the first I’ve heard of Alesund. Will keep this in mind for when we ever get to go! It reminded me of something built from Legos! But yes, definitely keep Alesund in mind. It doesn’t get as much attention as, say, Bergen, but it’s still pretty awesome! Norway has been at the top of my bucket list for as long as I can remember. I want to do the Hurtigruten Cruise at one point during my 10 months in Europe and it definitely stops in Alesund. It looks amazing. I don’t think visiting Norway is going to be something I’ll regret! It would be really, really difficult to regret a trip to Norway! I would love to do a Hurtigruten Cruise next time! 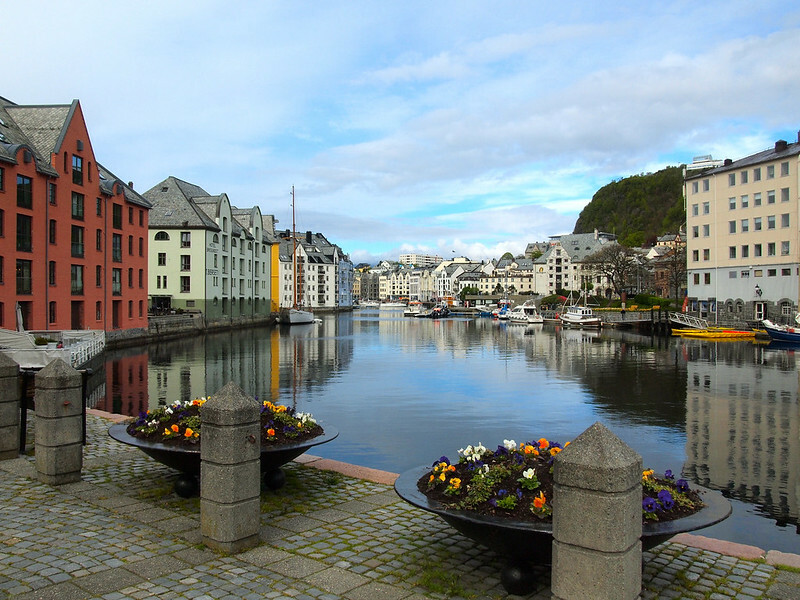 The easiest way to see a bit of the west-cost is to travel by plane to Bergen and take the Hurtigrute to Aalesund. Remember that if you travel in the summer mounts June – August you can go with the Hurtigrute to Geiranger, from and to Aalesund. I live in a small town called Volda about 2 hours drive from Aalesund. If you drive south from Volda for about 1 hour you will see one of the best places Stryn. Wow, that looks gorgeous! How fun that the whole centre of the city is in an Art Nouveau style! Looks like you had really great weather for May, too. The weather in Alesund was decent – it was sunny both afternoons that I was there. But it was COLD. Much colder than it normally is in May, as all the Norwegians I met kept telling me! Your photos are outstanding Akatuki! The view from the viewpoint is absolutely stunning! Aww thanks! And yeah, how awesome is that view?!? Nice article! I was in Ålesund at least twice during a recent tour of Norway, but it was basically only a place to change between bus and boat. (Still managed to take the equivalent of a roll of film there). I would love to spend some quality time there someday! It’s a cool little city – definitely worth stopping in longer next time! 1. Lovely photos. Did you take them? If yes I’d like to know what kind of camera you used. 2. “Thanks to Innovation Norway and Fjord Norway, along with the local tourism board, for hosting me during my visit.” How did you arrange to be hosted and what did their hosting of you involve/include? 1. Yes, I took all the photos – I very rarely post any photos on this blog that weren’t taken by me! I shoot with an Olympus PEN series camera (an E-P2 right now). 2. As a travel blogger, I sometimes get some perks when I travel in the form of working with tourism boards and travel brands. In this case, Innovation Norway and Fjord Norway sponsored (paid for) most of my trip, which included hotel stays and a rental car, as well as some activities in other parts of Norway. 1. 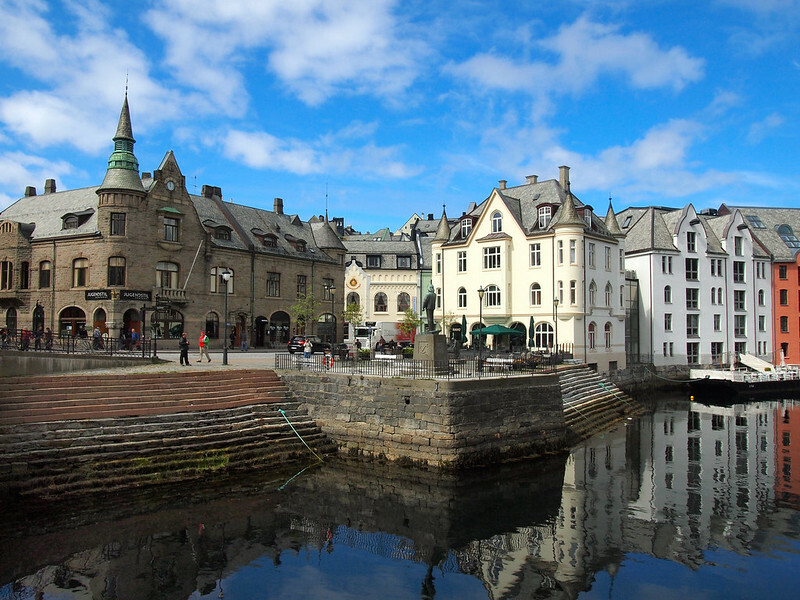 How did you like Alesund compared to Bergen? 2. How did you get to Alesund? Do you recommend driving or taking the train in Norway or up to Alesund? 3. Is the Atlantic Ocean Road really worth seeing? Currently we are planning on driving but I’m not sure if there are parts that are better to take the train! I’m currently sorting through your posts to get some info! Hey Stephanie! Happy to help where I can! 2. I drove to Alesund. I flew into Oslo, took the train to Trondheim, took a ferry to Kristiansund, and then drove from Kristiansund to Alesund to Geiranger to Andalsnes. I’m sure you guys will love it, regardless of what you decide to see/do! As I live in Bergen and grew up close to Ålesund I want to share a few things, Stephanie. As of travel costs go and if you find renting a car too expensive, the train journeys doesn’t go north/south along the west coast so if you want to try that out instead of ‘the boring scenery’ in the east part, why not try express buses, in ex. Ålesund-Bergen (see link). How picturesque! 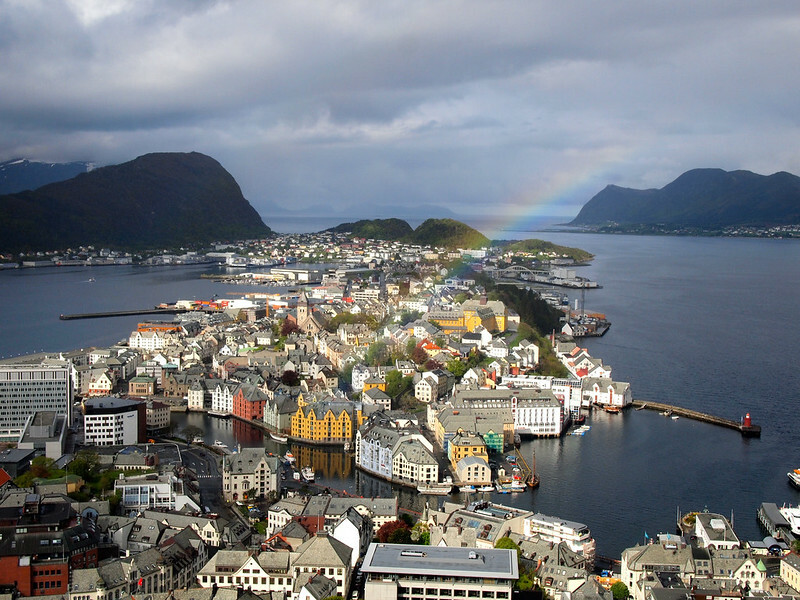 Haven’t been to Norway yet, but when I do visit, I hope I remember to include Alesund. I hope you remember too! 🙂 It doesn’t seem to get as much love as some of the more popular cities in Norway, but I really liked it! And that view… you really can’t beat that view! Thanks, Sabrina! Hopefully you’ll make it to Norway someday! 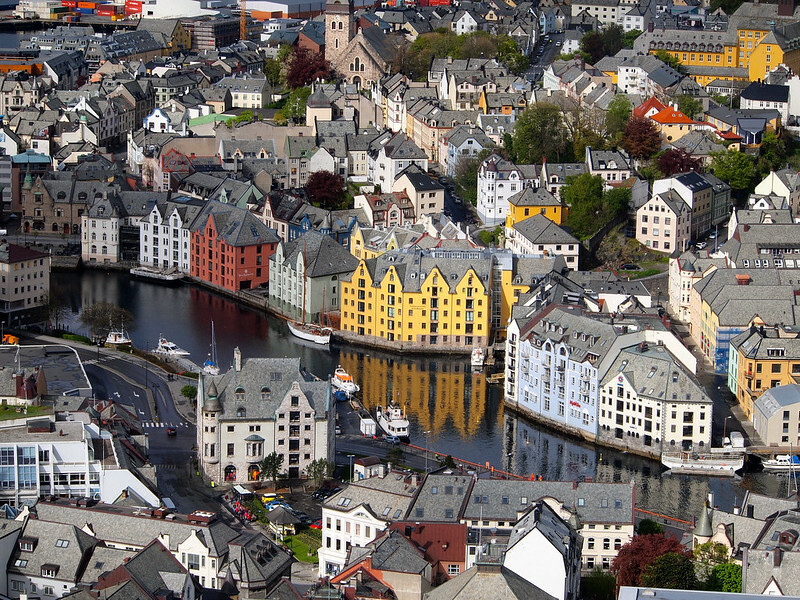 Alesund was one of my favorites, too! Such a pretty little town! That’s awesome, Adoria! 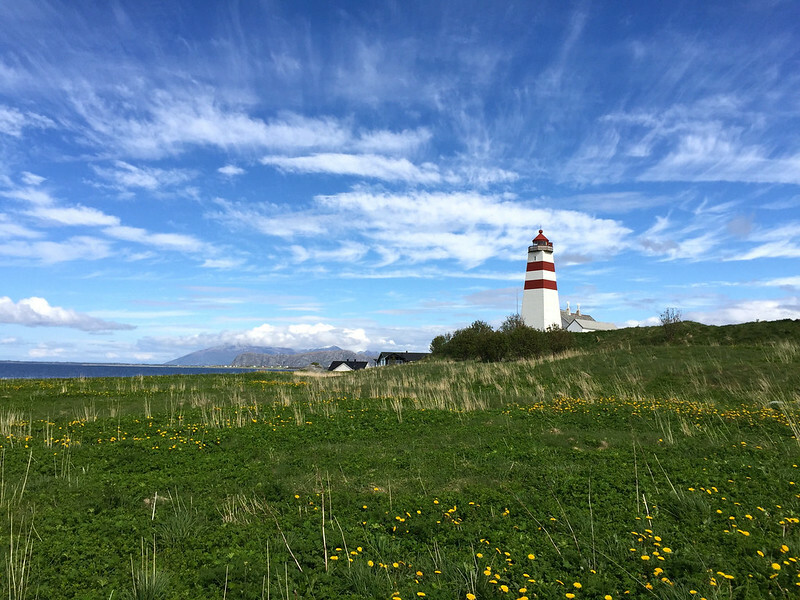 Alesund is such a beautiful city – I hope you enjoy it as much as I did! Hi Akatuki. I’m visiting Alesund on a cruise in August and after seeing your photos and your review can’t now decide on the Troll Road excusion or just wandering around and exploring the City. Is it easily walkable between the Islands and to the view point or do you need a car. I don’t really want to do the HoHo bus. Thank you. Hey Elaine! Alesund is a really beautiful city, but I understand that that’s a tough choice! I will say this: Alesund will be nice to walk around regardless of the weather, whereas the Troll’s Road is only viewable in good weather. You won’t be able to walk between the islands (you have to drive through those underwater tunnels), but the art nouveau part of town can easily be seen on foot. And if you’re really opposed to a bus, you CAN walk to the viewpoint – but it’s 400+ steps up! Wow – those pictures! I absolutely love the look and shape of the buildings. Beautiful! Art nouveau architecture is definitely beautiful! I am really looking forward to visiting here during our cruise stop in July. Would it be worth it to rent a car, or just walk around and try to get a tour? The city center is pretty small – you could definitely explore the main part on foot. You can even walk to the top of Mt. Aksla (or maybe grab a taxi if 420 steps don’t sound nice!). The only reason you’d need a car is if you want to go out to any of the other islands (like Alnes), as you can’t reach those by walking. Great trip & photos . My husband & I are visiting Iceland & Norway this August and have allowed 16 days for Norway, though I feel no amount of time will be enough. We are going to spend most of our time in the Western Fjords & hopefully 4 days in the Lofoten area, thinking self drive would be the best option starting from Alesund, gerianger, nBergen as this gives us a direct flight to Bodo for the Lofoten island. I was really awestruck with the Atlantic Ocean Road and am wondering could you do this from Alesund as a day trip and if so how long would it take? I’ve been to Norway 3 times now, and even that hasn’t been enough! As for going to the Atlantic Ocean Road from Alesund, it would make for a really long day. It takes nearly 3 hours to get from Alesund to that little stretch of highway – so round-trip it would take you close to 6 hours to go there and back. An alternative could be to arrive in Kristiansund, and then drive down to Alesund from there, via the Atlantic Ocean Road. Thanks for the advice, we’ve now decided to start our trip in Stavanger making our way to Alesund and flying to Bodo gateway to the lofoten islands. We are keen to check out the whirlpools and do some hikes. Time better spent out of the car. Just a quick question. 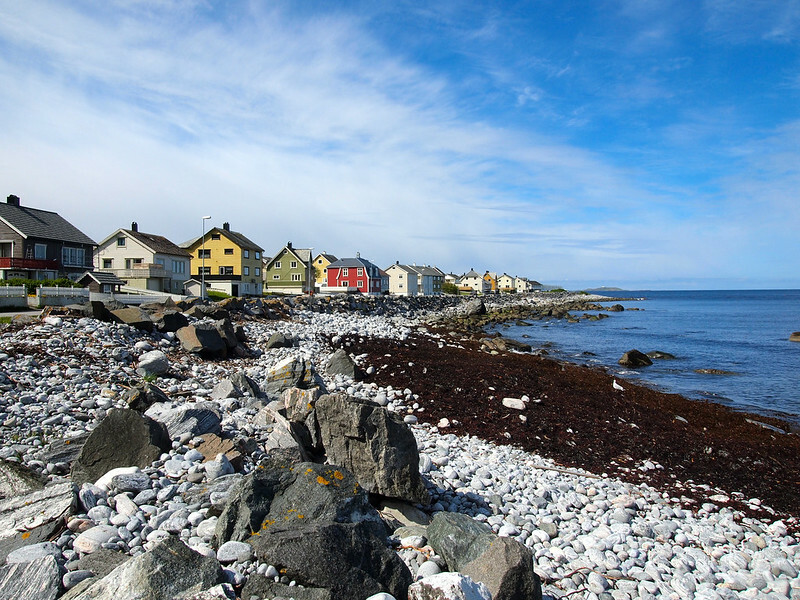 We’ve booked most of our accommodation during or stay in the western fjords in August but there are a few days we are not sure where we will be on certain dates. Do you think we could wing it & pick up something last minute? Super excited as travel day draws closer. Hey Ange! So, August will be high season in most parts of Norway. Meaning that booking accommodation last-minute could be tricky! It depends on where you think you might stay (i.e. smaller towns with less options might book up faster). You could always have a quick search on a site like Booking.com to see how full things are getting (if you search for a place you think you might be on one of those dates, they’ll show you what availability looks like).